Home > Summer school Typography > Focus: past or present? The emphasis during the research is based, not surprisingly, on the historical material in the collection of the Museum Plantin-Moretus. After all, the typographical conventions were set during the Renaissance. The technological developments and constraints from that time influenced (the details of) type as used nowadays in digital form. This is not only the case for the type models that represent the Latin script, but also for, for example, Arabic. 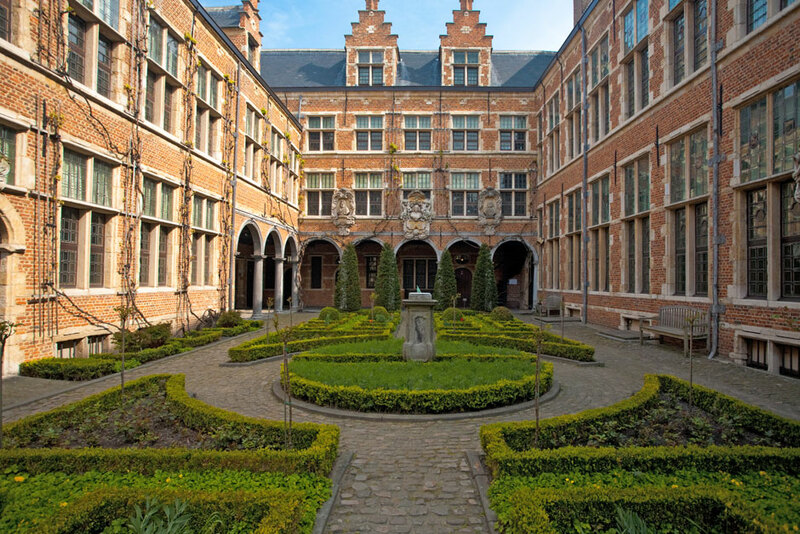 The historical setting of the Museum Plantin-Moretus, which will be visited during the course, also provides a good reason to investigate an intriguing aspect of present-day typography. Digital versions of Renaissance-based typefaces, like Adobe Jenson, Adobe Garamond, and Adobe Minion, are used on a large scale and probably often in combination with typefaces from other style periods. The question is: how aware is the digital typographer of the fact that applied typefaces are from origins more than 500 years old? Obviously this is part of the typographic convention, but that is, for example, not the case for music. How many of the present-day typographers that apply Adobe Jenson or Garamond will consider music from the Renaissance to also be commonplace? On top of that, if one is aware of the historical origin of these typefaces, how does one look at Renaissance type? If digital revivals form the basis for one’s perception, how does one know that the modern interpretation captures the essence of the original? After all, the knowledge of the present-day interpreter is as much influenced by the ‘one cannot see more than one knows’ factor as the view of the typographer and the end user, i.e., the reader. A comparison with recordings of music from the past, such as from the Renaissance and Baroque, is applicable here: the insight changes constantly and has led to the development of the ‘authentic’ practice. Within this practice there are different insights, which lead to different interpretations of the same music. The listener hears the music filtered through the ears of the interpreters, as the typographer looks at the historical typefaces through the eyes of the revivalist. There is one big difference: one can never exactly know how historical music, for example from Bach, sounded originally, but in case of typography there are prints, foundry type, matrices, and punches preserved (at the Museum Plantin-Moretus) to investigate in depth.